IGT 2016 Winner India’s Got Talent 7: Colors TV talent hunt show is finally coming up with the champion. IGT Season 7 winner is declared now. IGT 7 was one of the most TRP based show in July. The TRP of the show touches new heights as the finale episode came closer. After a long wait of more than 2 months, IGT 7 winner has been finally declared by the judges of the show. The finale episode was attended by the superstars John Abraham and Varun Dhawan for the promotion of their upcoming film Dishoom. The first episode of IGT 7 took the green flag on 30th April 2016 completing more than 16 episodes in total. The series will be replaced by new upcoming television series by Colors. The ultimate talent decision was taken by the judges panel. After the initial interview in almost every prime city of India. IndiasGotTalent (IGT2016 season 7 semi-final round has been done and with that, only Top 10 Contestants Team entered into the Finale of IGT7. The selection procedure is unique in itself. The final winner was not selected by diminishing method. Rather among the Top 10 Finalist of IGT Season 7 winner has been chosen. There was a total of three winners to be declared. As everyone was performing a different act, it’s not easy for the judges to came out with only one title holder. The first champion is being followed by the second runner up and then the third runner-up. Since the act was not same, the decision was kept with the public to vote for the best. Last Year’s champion Manik Paul will most probably be the adore of the stage while sharing his ultimate life changing the story on the stage. It was the first time when an alumni is sharing his views for a reality based show in India. His spell bounding speech left many hearts to go away during the episode. 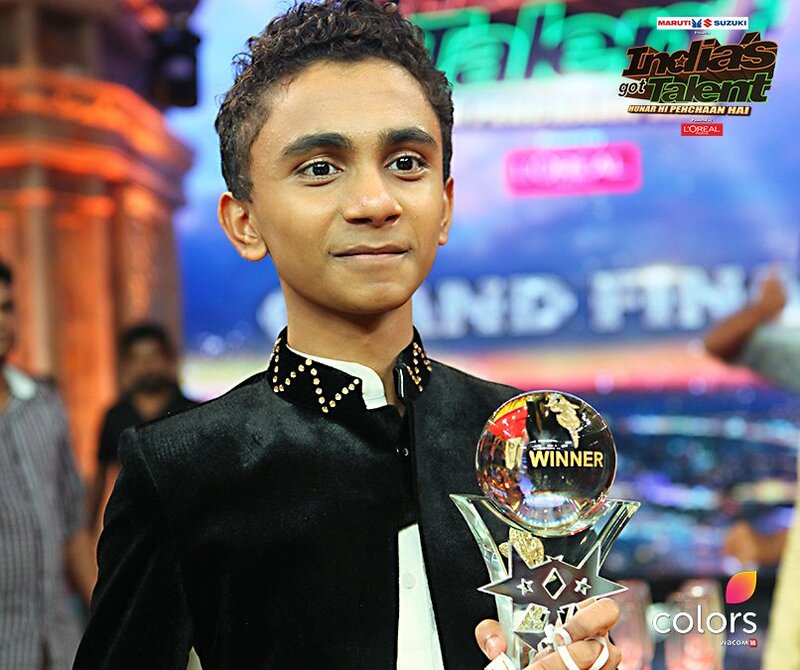 After a long wait, the winner is named as Suleiman from Amritsar for his totally mind blowing performance during the last episode. Deserving contestant.Thank you public for voting for the Child Prodigy with his singing flute.God bless you with lots more awards.Be grounded like you are now. Congratulations beta !!!! You are God gifted n well deserved the trophy , prize money name n Fame . May U cherish ur dreamssss .? Outstanding Suleiman u touch our heart and soul.. I thnk incredible malkhamb guys also deserve it..but congo bro.. its our loss we r loosing out ancient culture….. a flute artist can get a career as musician but a malkhambh artist can’t. .
Congrats suleiman best of luck future god bless uu …??????????????????????????? Well deserve canditate…Congrats Suleiman…Be grounded ev3n if u will touch the sky..God bless you. ohhh u won it….waaaaao….congratulations nd love u…u r magical …just magical….! Suleiman tumhari sadgi ne sabka dil jeet liya he.jab tum bansuri bajate ho to sach me lagta he k tum me ishwar ka vaas he.tumhari kala sirf aankhon ko hi nahi Mann ko shant aur prasanna karti he.Mujhe dil se bahut khushi he k jeet tumhari hui he.god bless u for your bright future. Just to depress you, ha ha ha…. congragulation Suleiman u deserve it!!!! India and indians are rock and sulieman u gave a challenge to others . God bless u….